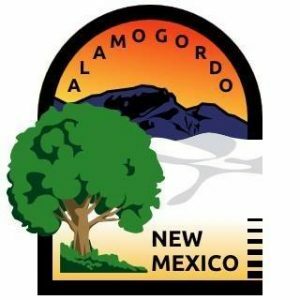 The Alamogordo Animal Control has started the new Trap Field release cat program for the City of Alamogordo, which requires the removal of the after-hours drop boxes. Animals found after business hours (8 am – 5 pm) the found animal will now need to be taken to the Alamogordo Police Department at 700 Virginia Ave. Upon arrival at the APD, please call 439-4300 (the non-emergency number). Dispatch will have an officer meet you. They will hold the found animal there until Animal Control can pick it up. If you have any questions please fill free to contact Animal Control at 439-4330. The Alamogordo Family Recreation Center Pool is opening Friday, March 25th- just in time for Spring Break! Pool openings and hours are subject to change due to weather, staff availability, and pool maintenance. To find out more about pool hours and openings, call 439-4142. Now through November 1st: If your house street number ends in an odd number you may water on Sunday, Wednesday, and Friday. If your house street number ends in even numbers you may water on Tuesday, Thursday, and Saturday. Outdoor watering is NOT allowed on Monday. All watering must take place BEFORE 9am and AFTER 6pm. The Alamogordo Animal Control currently has dogs and cats available for adoption. All adopted pets are spayed or neutered. They are open Monday through Saturday from noon until 5pm and are located on the corner of Fairgrounds Rd and North Florida Ave.